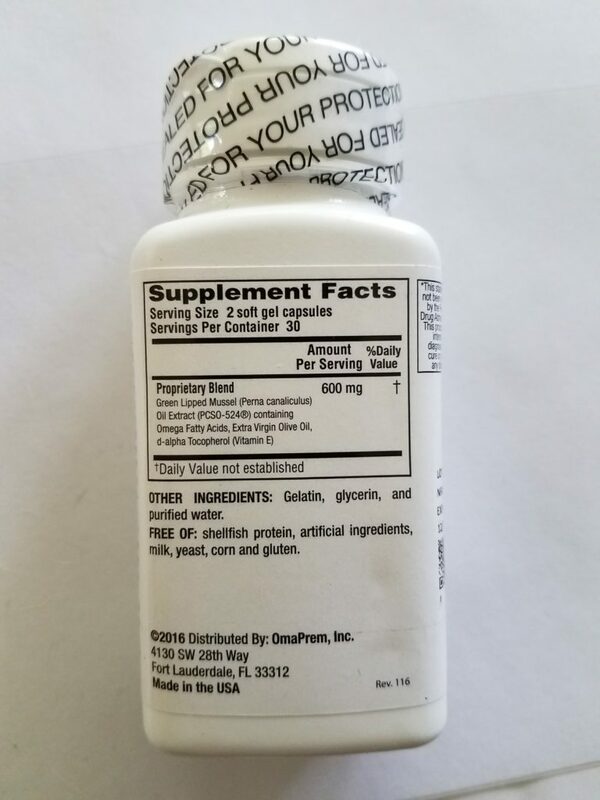 OmaPrem, the next-generation fish oil containing over 30 essential fatty acids is still available for online purchase, although the manufacturer has asked us to discontinue selling it from the online storefront we have at Bonanza where many of our in-office products are made available to online shoppers. 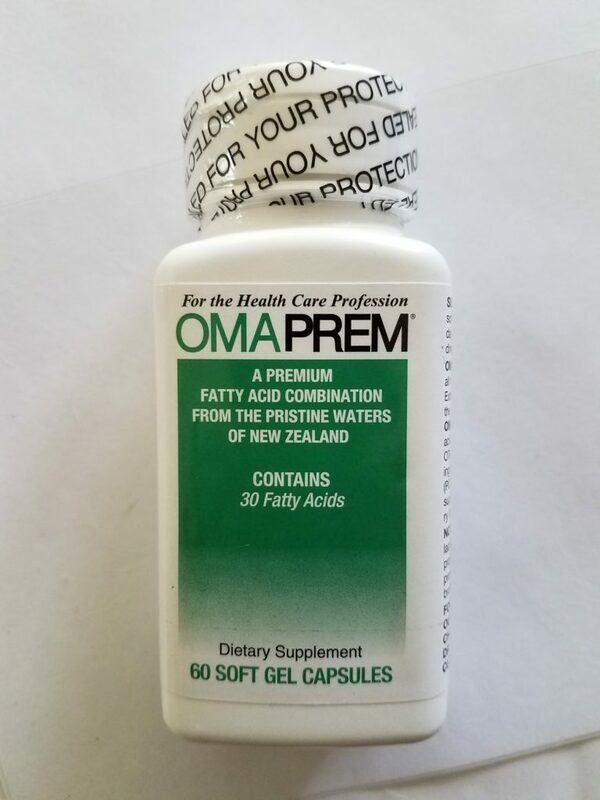 To purchase OmaPrem online, simply visit the page for OmaPrem, which is linked on the Supplements page, select your shipping option and click the “Buy Now” button. Free shipping is still available to U.S. based customers and international customers are only charged shipping on the first bottle purchased. Please click here to buy OmaPrem online. 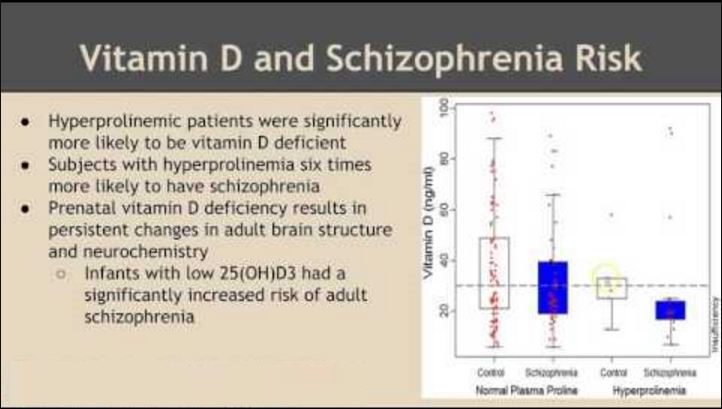 A new meta-analysis of observational studies focused on the possible relationship between vitamin D serum levels and the odds of developing schizophrenia has concluded that a strong association exists between vitamin D deficiency and schizophrenia. Science, Isfahan University of Medical Sciences in Isfahan, Iran, respectively. The analysis involved a comprehensive review of 19 previous studies involving in excess of 2,800 total participants. 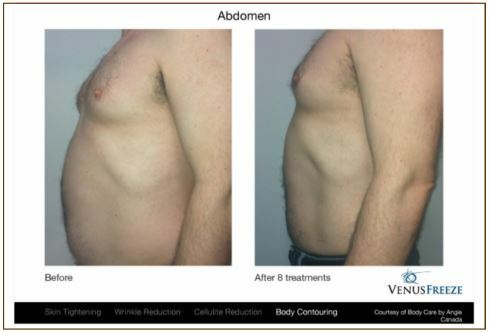 The original article outlining the research debuted recently in the Journal of Clinical Endocrinology and Metabolism. The researchers defined schizophrenia as a group set of neuropsychiatric disorders characterized by symptoms like hallucinations, delusions, confused thinking and disorganized speech. Upon careful review of 19 previously conducted studies from around the world, the researchers concluded that individuals who suffer from vitamin D deficiency (vitamin D serum levels deemed lower than is considered healthy by accepted medical science) are more than twice as likely to develop schizophrenia than their vitamin D sufficient (healthy levels of vitamin D serum) counterparts. Specifically, the scientists found that inadequate levels of vitamin D increased the risk of developing schizophrenia by 2.16 times that associated with an individual whose vitamin D levels are within a healthy range. 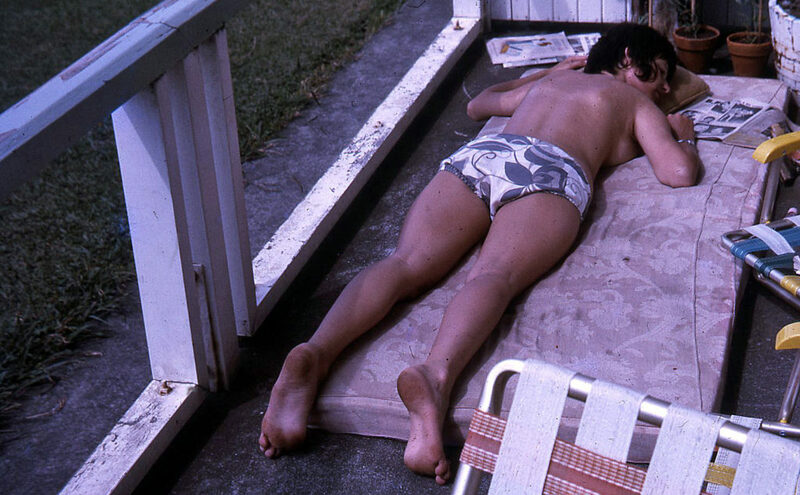 Of those who had already been diagnosed with the mentally debilitating psychiatric condition, 65% were found to have insufficient levels of vitamin D.
The researchers stopped short of declaring that vitamin D supplementation may help to reduce the risk of developing the condition. Rather, they cautioned that more research would be necessary to observe the effects of supplementation on schizophrenia and its manifestation in previously healthy individuals. They also stopped short of declaring supplementation a means of treating existing schizophrenia, again alluding to the need for further study. The abstract of the study can be viewed here: http://press.endocrine.org/doi/pdf/10.1210/jc.2014-1887. Are You Taking the Right Supplements? I had a discussion with an acquaintance recently who was questioning the legitimacy of vitamins and mineral supplements. She described how she had been taking vitamins and nutritional supplements and had experienced no noticeable impact. Vitamins are for real. However, like any other product, not all vitamins are manufactured to the same level of quality. There is a comparative guide that serves as a non-official clinical nutrition industry standard as a reference for the relative quality of several hundred of the world’s largest supplement manufacturers. 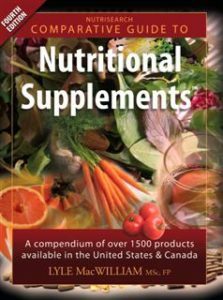 The book is called Comparative Guide to Nutritional Supplements, and it reports on objective scientific research involving the bioavailability and/or absorption rate of each known product from several hundred of the most widely distributed manufacturers of vitamins and nutritional supplements. A low-quality supplement is poorly absorbed (if at all), and is a complete and total waste of money. According to the CGtNS Fourth Edition, this accounts for the overwhelming majority of products found in places such as grocery stores, pharmacies and even specialty nutrition shops. In the 4th Edition, there were only a handful of manufacturers of the hundreds evaluated whose products scored a 3-star (out of a possible 5) for the majority of their products. Very few had more than 1-in-5 or so meet the 3/5 mark, while the few that scored remarkably better than the rest were nearly 4, 4/5 and 5-star rated across-the-board, with their lowest scoring products almost always better-rated than the overwhelming majority of companies’ best-scoring product. If you’re serious about optimal nutrition for preservation of good health, disease prevention or whatever other reason, it’s a book you should at least have a look at if not buy (I don’t know the author and have no financial interest in the book’s sales). The reason I’m suggesting it is because I find it to be a remarkably good resource for a topic about which I am passionate and about which I believe that the consequences for poor decision-making are significant enough to merit learning as much as possible. I didn’t buy it. My mother, a nurse practitioner and clinical nutrition expert, gave it to me as a gift. I have read it more than any other book – fiction or non-fiction – in the time since she passed it along to me. Point being, and the reason I mention all of this, is that the absence of noticeable results described by the acquaintance could very well be the byproduct of poorly produced supplements or supplements which were improperly stored post-manufacture, decreasing the effectiveness and potency of the products themselves. My advice is that if you care enough about the bottom line, get the book or ask someone who has it how your brand stacks up against the rest. I’m not going to plug any particular brand of supplements in this post, but I welcome anyone curious enough to pursue an answer to either get the book or email me and ask me how your brand compares. I’ll be happy to answer in good faith. However I want to be perfectly clear that the reason I am offering is so that nobody mistakes the intention of this post to be the promotion of a book I didn’t write, buy or in any way benefit from its success. On a similar token, I don’t benefit from the promotion of any supplement brand except for my mother’s, which did not exist at the time the book was published. However, I care about my own health, and I myself take a plethora of vitamins, minerals and supplements. I only buy from those manufacturers whose products are rated 4-stars on-average at the very minimum (according to the CPNS 4th Edition), and I have noticed a monumental difference in terms of my own personal health and productivity in the time since I began regularly taking high-quality vitamins and supplements. For anyone seeking to purchase medical-grade supplements, just click the “supplements” tab at the top of the page (or the link in this sentence). Dr. Egan only offers the very top brands of supplements in terms of quality. Price is set by the manufacturer, and we are not permitted to sell below the minimum price dictated to us. Point being, you can’t go anywhere else and (at least legitimately) get these same supplements for any less than Dr. Egan charges for them. Some of the brands sold include Designs 4 Health, Metagenics, Douglas Laboratories, Bio-Tech and Neuroscience. Check out her Bonanza storefront as well as the dedicated, complete catalogs of every product made by Designs 4 Health and Metagenics. We wish we could put all the supplements in one place, but there’s just so many it’s easiest for everyone if we break it down by brand and have a page for each of our two most popular brands as and a storefront carrying the third major brand and all other brands stocked inside the clinic. Vulvar Varicosities are a form of varicose veins occurring in the inner thighs and vaginal region in approximately 4% of women. They can be extremely painful, and are a natural source of embarrassment given the region in which they occur. This can lead to many women refraining from even discussing the matter with their respective OBGYN doctors out of shame if for no other reason. Given the painfulness and swelling that generally occurs with the condition, which typically occurs during the course of a pregnancy, this can lead to a feeling of intense pressure and pain. Some women have described this as a feeling that “everything is about to fall out the bottom”. Most occurrences of vulvar varicosities dissipate on their own after a few months. That said, these can be a couple of extremely painful months if left untreated. According to the Center for Vein Restoration: When they do not resolve they may cause symptoms of pain, itching, burning, dysparunia, and are perceived by some women as a cosmetic nuisance. The good news is that unlike excruciatingly painful conditions such as vulvodynia, there are tested-and-prove treatment options available to women suffering from vulvar varicosities. Regardless of whether or not one is pregnant, compression therapy is an effective solution that has brought thousands of women immeasurable relief from this painfully traumatic condition. For women who are pregnant, this should be the first option and course of treatment. The premiere compression garment available on the market is called a V2 Supporter, made by a Michigan (USA) based company. For pregnant women suffering from this dreadfully unpleasant condition, a V2 Supporter can be purchased online for a nominal fee, and delivered to one’s home within a matter of days (or even overnight if the patient is willing to pay for the shipping). A ‘minimally invasive’ procedure known as sclerotherapy has brought tremendous relief to countless women who aren’t pregnant. Sclerotherapy involves injecting a liquid or foam into the affected area, then following up with compression therapy, typically also involving a V2 Supporter. Women with varicose veins in the inner thighs, pubic and vaginal region should consult a doctor as soon as the pain becomes a legitimate disturbance to one’s quality-of-life. If the diagnosis is vulvar varicosities, best practices involve getting a V2 Supporter as soon as possible, and following-up with sclerotherapy then if necessary and if symptoms persist. 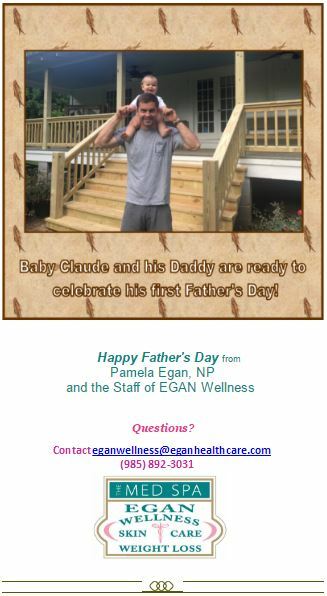 EGAN Wellness Holiday Discounts, Coupons Now Available! EGAN Wellness and Anti-Aging Clinic, Skin Care and Med Spa would like to thank our patients and customers for entrusting us to participate in your care, be it wellness, overall health, hormone therapy, nutrition, skin care or cosmetic. 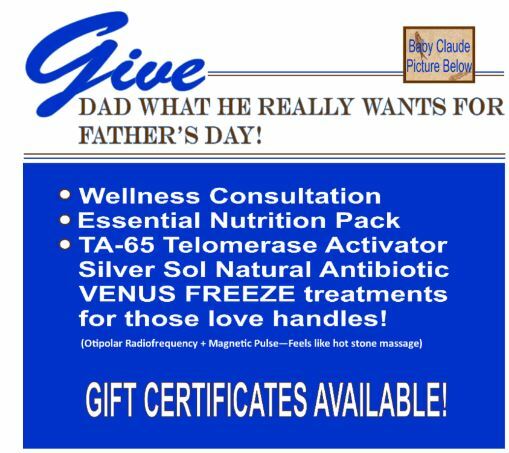 As a special gift to you, from now until December 16, all patients and customers who purchase skin care products and nutritional supplements in-store or by phone will receive a 15% discount (must mention this ad to receive discount). Act quickly, this promotion is valid for two days only! Save 15% on all skin care products and supplements purchased in-store or by phone from December 16-18! Also, all purchases made through our storefront on Bonanza will be eligible for a 10% discount from now through the end of the year. Please use coupon code EGAN 10 to activate this coupon. Nearly all supplements available in-store can be purchased through the Bonanza storefront. The HGH Spray must is only available in-store or by phone. We apologize for this inconvenience. All other supplements from Designs For Health and Metagenics can be purchased directly through our online storefront specifically catered to their full catalog of prices. Please visit the supplements page and click the logo of the supplement manufacturer whose catalog you’d like to shop and you’ll instantly have access to every product they make, including those not available in-store. Supplements may now be purchased online. In addition to all of the supplement offered in–store and by phone, customers can now access the full catalog of products by our pharmacy-grade supplement manufacturers. Please see our supplements page for complete details. The Apallo Cane by Palo Medical is now available for purchase through the EGAN Wellness Clinic’s online storefront. Please visit the product page for full details about this adjustable, dual-handled, 2-in-1 walking cane plus standing aid plus LED Flashlight. The cane is designed for anyone who experiences difficulty standing up from a seated position and can also be used as a traditional walking cane to provide support while walking. It is made of lightweight, yet highly durable aluminum, and has a weight capacity of up to 500 pounds. The first of its kind, the aPallo cane is a portable sit-to-stand device that doubles as a walking cane. The patented pivoting lower handle provides improved leverage for the user to rise and sit down safely. Anyone who currently uses a cane can benefit from using the aPallo cane. Designed and engineered by a board-certified Orthopedic Surgeon. Portable Sit- to- stand cane. Built-in twist on LED Light. Shock absorbing , ergonomic handles for increased comfort. Hidden Storage space inside of each handle. Lanyard included to hang cane from hook or chair. Durable aircraft aluminum and weighs just over a pound. Adjustable from 31 inches to 36 inches to fit the majority of users from 5’2 to 6’0. Durable, non-skid rubber tip is made to help reduce slipping. EGAN Wellness is offering free USPS Priority Mail shipping to customers located anywhere within the United States. Telomeres are the caps at the end of each strand of DNA that protect it, like the plastic tips at the end of shoelaces They affect how cells age and are essential for maintaining cell integrity. Telomeres shorten over time due to aging and lifestyle factors (poor nutrition, psychological stress, lack of exercise, etc.) leaving the DNA that makes up our genes vulnerable to damage. There are now more than 10,0000 published studies on telomeres. Telomeres act as a clock within our cells, representing their age and how well they function. As they shorten, they signal changes in gene expression, changing the cells phenotype to that of an older cell. When enough telomeres become critically short the cell may become senescent or die. Senescent cells can crowd out healthy ones and damage neighboring cells and tissues. There is scientific evidence that telomeres can be lengthened. An enzyme called telomerase can slow, stop or even reverse the telomere shortening that happens as you age. TA-65 is an all natural, plant-based compound that can activate the telomerase enzyme to help slow down and possibly reverse age and lifestyle-related telomere shortening. Don’t just take antibiotics when you get sick. Try Silver Sol Health Max Immune Support First! Ionic silver is one of the most common forms of sliver liquid found in the supplement industry today. By helping to support the immune system, you may allow your body’s own natural defense system to work more efficiently at maintaining its natural and health state. Health Max Immune Support – designed to be used daily as an immune support supplement. It has long been known among medical scientists that topical vitamin D therapy is a very effective treatment option for mild-to-moderate plaque psoriasis. A quick search of reference materials and clinical trials reveals studies dating back as far as 1989¹ affirming the causal relationship between the application of topical vitamin D3 and a reduction of symptoms of plaque psoriasis in the patients studied. A 1991 study² showed “significant improvement” in 68 of 83 patients exhibited of their psoriatic lesions with the topical application of vitamin D3.” 24 of 35 patients treated with oral vitamin D3 showed improvements, according to the same study. In the editorial opinion of the Vitamin D3 Blog, sufficient evidence exists to justify the use of both topical and oral vitamin D3 supplements for the treatment of mild-to-moderate plaque psoriasis. These are available in multiple forms, but it is the opinion of this blog that with regard to D3 supplements, it is worth spending a couple of extra dollars to ensure top quality as vitamin D is one of the nutrients for which the effectiveness can vary relative to the quality of the manufacturing process and supplement ingredients. Dosage should be determined by a physician, nurse practitioner or licensed nutritionist or other qualified healthcare or medical professional based upon the individual’s levels relative to his or her needs. Vitamin D tests are relatively inexpensive and easy to obtain at most medical labs that service the public. Ask your doctor if unsure of where to obtain a vitamin D test, as many physicians now perform the tests in-office and send the test material to a lab for analysis. 1.) 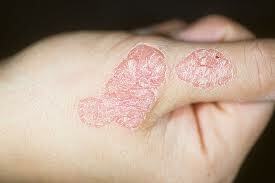 Psoriasis and vitamin D3. A review of our experience. Morimoto S, Yoshikawa K. – Department of Geriatric Medicine, Osaka University Medical School, Japan. 2.) Vitamin D therapy in psoriasis. | Araugo OE, Flowers FP, Brown K. | Department of Pharmacy Practice, College of Pharmacy, University of Florida, Gainesville. 3.) Oral vitamin D, still a viable treatment option for psoriasis. | Kamangar F, Koo J, Heller M, Lee E, Bhutani T. | Department of Dermatology, University of California, Davis School of Medicine, San Francisco.